A Peru vacation offers incredible treasures – from Inca ruins and ancient cultures to culinary havens. However travelers still wonder, is Peru safe? If you are wondering if its safe to travel in Peru, rest assured; the safety situation in Peru has steadily improved in recent years. The country benefits greatly from its growing tourism sector and therefore, local authorities take travel safety issues very seriously. However, it is prudent to take some safety measures to ensure that your holiday is stress-free. Unfortunately, with the rise in tourism, petty crime has increased in Peru. Therefore, please be careful with your belongings especially when you are in crowded areas such as bus stations and markets. Always leave your valuable in the safety box of your hotel. In larger cities, traveling alone at night is best avoided. It is a good idea to check with your local guide or Trip Coordinator about which areas of Peru are safe for tourists before you set out on your own. For example, the city center of Lima is not safe at night whereas the touristic part of Miraflores is relatively safe in the evenings. Avoid drinking tap water during your Peru vacation. If you have a sensitive stomach, it is best to refrain from eating fruits and food sold on the streets. 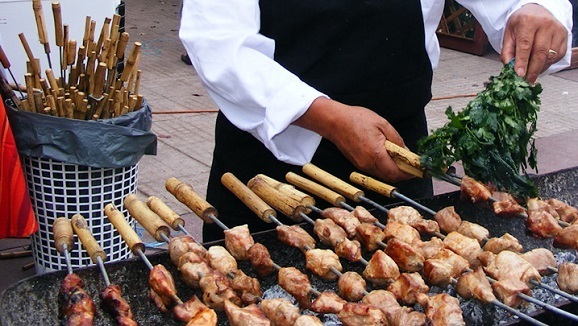 Peru is famous for its street food, however, those with sensitive stomachs best avoid this. Road traffic is the most dangerous aspect of Peru. The quality of intercity buses can vary greatly: the condition of cheaper buses and those offered by small tour operators is often questionable and drivers often work beyond the stipulated maximum working hours. On your Enchanting Travels tour, you will travel in safety tested vehicles with private chauffeurs. We also offer a few bus tours in partnership with companies that adhere only to the highest safety standards. 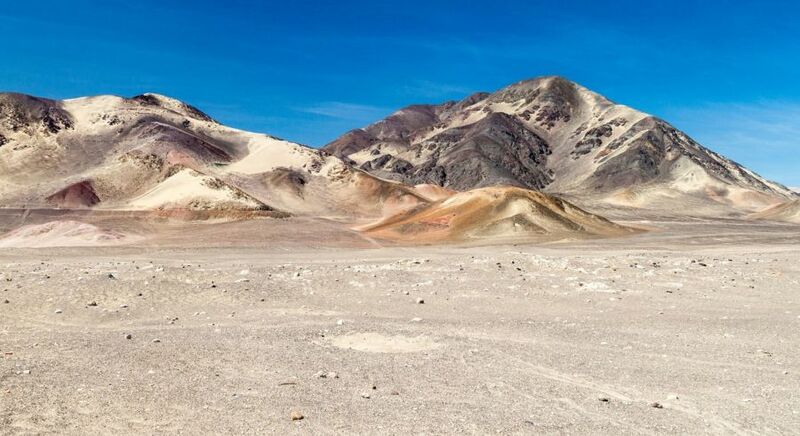 While some guidebooks do warn travelers about crashes that have occurred at the Nazca lines in the past, strict laws have been implemented recently to control flights and stop rogue operators. Our local partner in the area has worked with us for many years and meets the highest standards of safety. Flying over the Nazca lines is an unforgettable experience – with us, you are in safe hands. Enjoy a safe, seamless and stress-free Peru vacation with Enchanting Travels. If you have any questions about safety, our travel consultants are happy to help. You are always in safe hands while traveling: your local guide will be your personal guardian angel and your Trip Coordinator will be available around the clock.